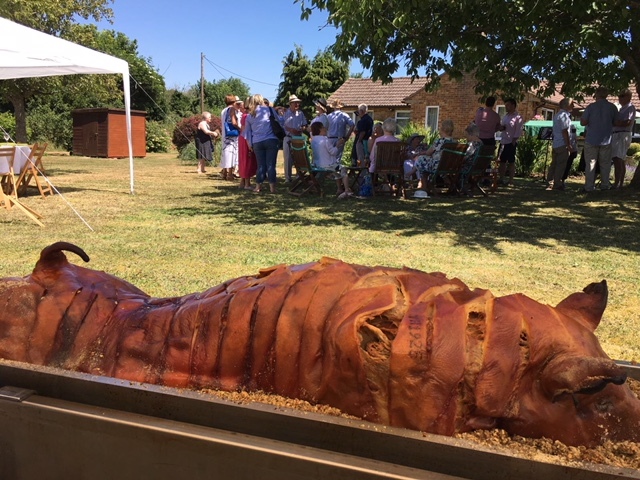 When people think of hog roasts they naturally think of special celebrations, which is why it is the ideal food for a special event. For centuries, people have been eating this beautiful, tasty food to help them to celebrate and you can too. 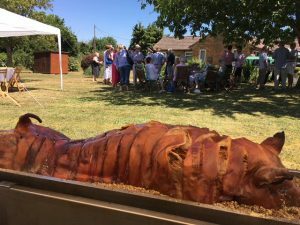 The Hog Roast Wytheneshawe team has been cooking this delicacy for many years, so has it down to a fine art. We love serving the succulent pulled port to guests and seeing them come back for more again and again. It is you that decides exactly what is served to your guests, but it is us that does all the hard work and takes the strain. People love hog roasts, but we appreciate that you may want to serve other foods too. With this in mind, the chefs of Hog Roast Knutsford have developed an eclectic mix of dishes. There really is something for everyone on our menus. Naturally, we specialise in cooking meats, but our chefs can offer you far more than just traditional hog roasts. The modern hog roasting machines that we use enable us to spit-roast practically every kind of meat. It does not matter whether you want to serve turkey, beef, lamb or another kind of meat we can cook it to perfection. In addition, we offer a range of vegetarian options that go far beyond just a plate of salad. All tastes and dietary needs are covered by our menus. The fact that you can make special requests and mix and match dishes from our menus makes it easy for you to feed your guests with food that they are guaranteed to enjoy. Everything is made from fresh, local ingredients, so it all tastes great. You can have your guests help themselves from a buffet we lay out for them or we can provide staff to serve everyone at their table. Practically whatever you want we can provide it for you.